There are many sub-genres within the endless array of horror films but the two-headed monster category is certainly one of the more obscure. There are only a handful of films that can truly claim such a creature and most of those are marginal at best. Throw in such words as “public domain” and your expectations may drop even more. 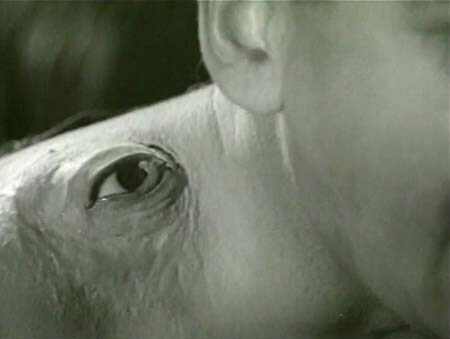 However, as we all know, there are often hidden gems to be discovered and The Manster (1959) is one such film that deserves more recognition than it usually gets, especially considering that it is the first of the two-headed monster genre. The plot centers on reporter Larry Stanford (Peter Dyneley) getting ready to wrap up an assignment in Japan after interviewing scientist Dr. Robert Suzuki (Tetsu Nakamura, The Human Vapor, The Mysterians, Mothra, Atragon). Suzuki is conducting bizarre experiments in a mountain laboratory involving bringing out the hidden beast within man in hopes of an evolutionary leap for mankind. After Suzuki secretly injects Stanford with a serum, Stanford begins to suffer body aches and attitude changes. This results in him leaving his wife Linda (Jane Hylton) for a romance with Tara (Terri Zimmern, her only film credit), Suzuki’s assistant. A murder spree soon follows before Stanford grows a second head (quite animalistic in appearance) that was preceded by a very eerie eye growing on his shoulder. With the Japanese police soon on his trail, Stanford’s only hope is to return to the Suzuki on the mountain in search for a possible cure. The Manster is a very well-made film with some occasionally effective special effects and quite a lot of atmosphere courtesy of the foreign setting. The eye on the shoulder was particularly chilling. Once the head materializes, it’s generally kept in the shadows, protecting it from being too visible and becoming an object of laughter, which generally happens a little anyway. However, the separation sequence is really well-done and deserves more recognition than it has received. 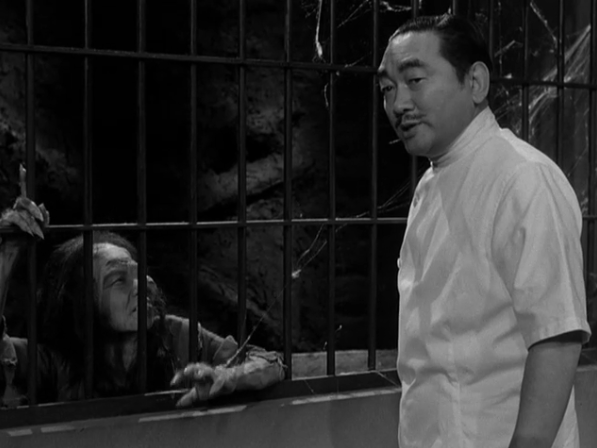 Tetsu Nakamura was great as Suzuki, who actually works very well as a mad scientist. However, I’m still not sure what his ultimate goals were as they remain a little hazy at best. While Peter Dyneley (Day of the Triffids) works well enough in the lead role, I envisioned a stronger lead (perhaps John Agar) being able to do a little more with the role. I also felt actress Jane Hylton was only adequate in her role and seemed a little too desperate at times. Again, a better actress might have been able to do more with what little she had to do in the film. 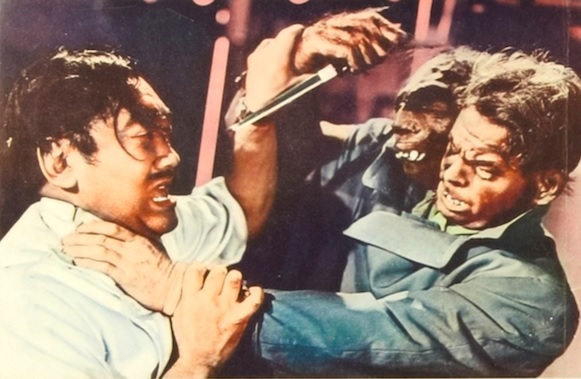 The Manster was actually an American production filmed in Japan with Japanese actors and a mostly Japanese crew. George P. Breakston wrote the original script and is one of two directors credited on the film. The Manster is probably his best remembered film among his 14 directorial credits but he is better remembered as an actor for his role as “Breezy” Anderson in the Andy Hardy film series in the late 30s and early 40s. The other director, Kenneth G. Crane, also directed the American scenes in Half Human (1958) as well as Monster from Green Hell (1957). Unfortunately, no reason can be found why the film had two directors but both appeared to work from start to finish and in tandem. When The Manster was actually released remains a topic of debate to this day. Some sources claim it was released on July 1, 1959, while others suggest it may have been on March 28, 1962, in San Francisco. It was also part of a double bill in 1960 alongside Eyes Without a Face (1960), which would appear to support the possible 1959 release date. Whatever the year, The Manster quickly disappeared into the obscurity of late-night creature features, including that of Elvira’s Movie Macabre. For now, The Manster is available in public domain and can easily be found online or through such video distributers as Mill Creek. The print is actually quite pristine, a rarity for public domain films, which may very well increase your possible enjoyment factor. 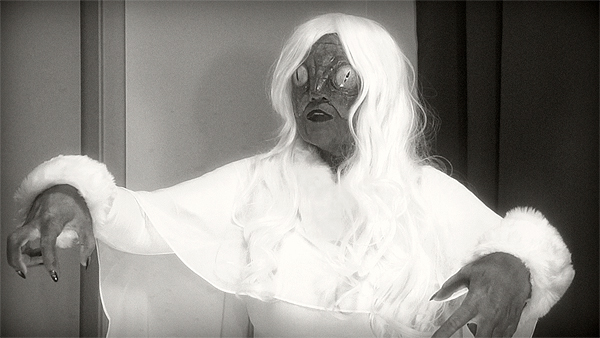 Monster Movie Kid encourages you to settle in for 75 minutes and judge for yourself. I think you’ll enjoy it as it certainly gave me a pleasant surprise. 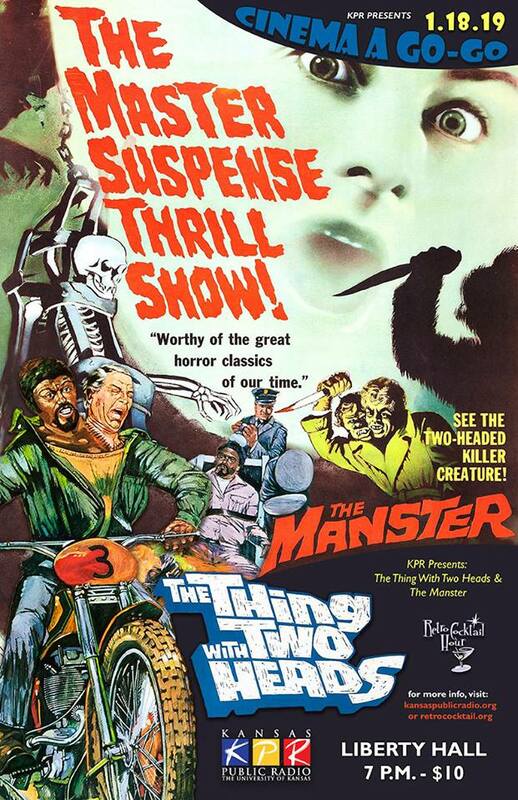 Monster Alert: As part of a Tuesday Two-Fer, be sure to check out Jeff Owen’s thoughts on another two-headed monster classic, The Thing with Two Heads (1972), on the Classic Horrors Club website! In 1831, Victor Hugo wrote what would be considered one of his most memorable literary works, Notre-Dame de Paris. When it was translated in 1883, it became known as The Hunchback of Notre Dame, the title by which it and most subsequent adaptations are known by. The first film adaptation was a French short in 1905, Esmeralda, named after the main character of the story. Despite being named in the title of the English translation, the hunchback Quasimodo was often considered a secondary character. This remained true for three more silent film adaptations but changed forever when Universal released their adaptation, The Hunchback of Notre Dame, in 1923. The credit for Quasimodo’s rise to prominence rests completely on the legendary skills of make-up artist and actor Lon Chaney. By the time Lon Chaney was hired for the role of Quasimodo, he was an accomplished actor on the verge of the prime of his career. At age 40, he had been acting in films since 1912 and while he had numerous successes, such as The Penalty, Oliver Twist and The Shock, The Hunchback of Notre Dame would elevate his career to new heights. There are countless reasons why this version remains such a timeless classic but the make-up work of Lon Chaney clearly stands out. 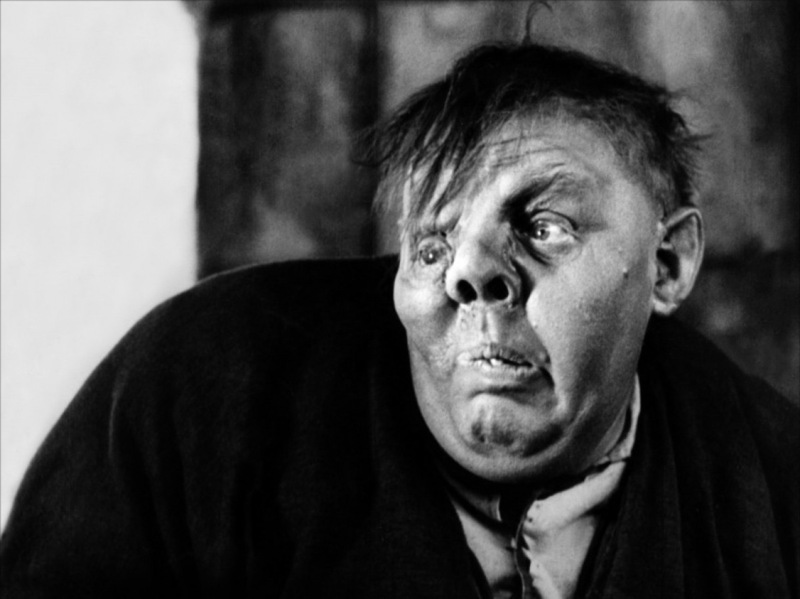 He was the favorite to play the role from the beginning and Chaney himself was highly interested in playing Quasimodo. While the expansive sets were astounding and the large cast gave an epic feel to the production, Chaney owned the film from his first few seconds on screen. While the character of Quasimodo is often considered a horror character alongside such true monsters as Dracula or the Mummy, he’s actually a very sad and tragic human being. Chaney’s make-up work is perhaps the most horrific version of Quasimodo and adds to the desire for many to place him in a rogue’s gallery of monsters. But Chaney also gave life to Quasimodo through his sympathetic performance, amplified by his acrobatic skills. Yet, there is no denying that when his shirt is ripped off and his hairy humped back and disfigured body is displayed for the first time, audiences will openly gasp. While Patsy Ruth Miller is good as Esmeralda and Brandon Hurst is truly evil as Jehan, Quasimodo’s master, Chaney’s performance outshines them all. The audience is engaged in his story from his first moment on screen to his unfortunate end in the final moments of the film. Chaney would go on to make another 20 films over the next seven years, including many of his most famous roles, including that of the lead in The Phantom of the Opera in 1925. Sadly, the world would lose Chaney in 1930 to lung cancer. Thankfully, many of his films remain with us, including The Hunchback of Notre Dame, which was restored in 2007 and released on Blu-ray by Flicker Alley in 2014. 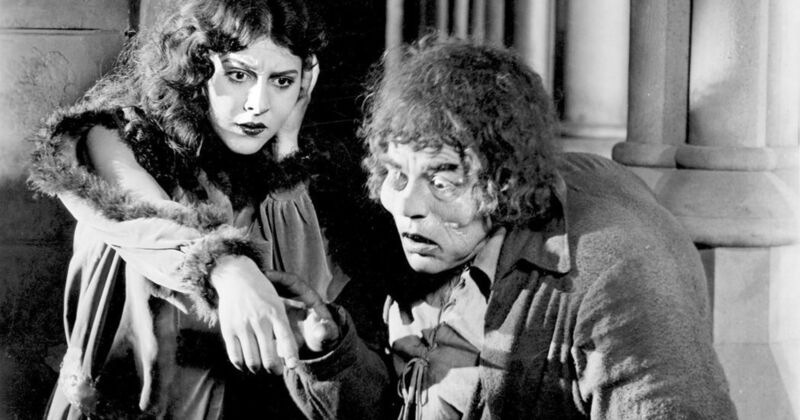 While Chaney’s portrayal of Quasimodo was legendary, RKO Pictures would attempt to make their own fortune with the character some nine years after Chaney’s death. Charles Laughton would be the primary star for this version with make-up work by Perc Westmore. This Quasimodo is nowhere near as horrific, which may have helped in him being more appealing to the audience. However, with less acrobatics and over-the-top theatrics, Laughton just never comes close to stealing the film as Chaney did. 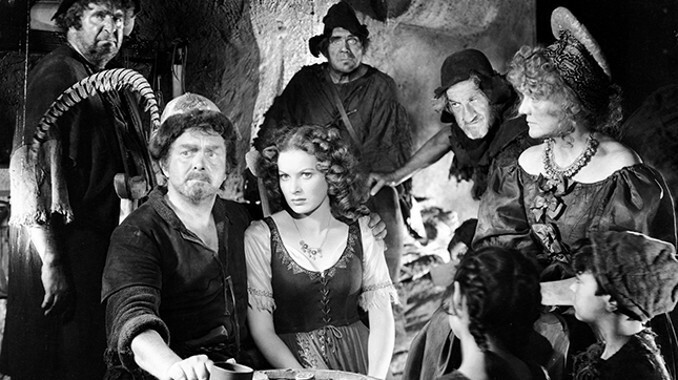 Furthermore, the script really shifts the focus to Esmeralda (Maureen O’Hara) and is much more of a romantic tale than one of adventure as seen in the 1923 version. The characters of Claude and Jehan Frollo were once again changed from the original novel due to concerns about having the main villain being a priest. In the novel, Claude was a villainous archdeacon while here he is the almost saintly archbishop. Likewise, Jehan was portrayed as a drunken teenage student in the novel but here he is the middle-aged villain. Another key change is the stronger focus on the plight of the gypsies, which may have been in direct reference to what was happening to the Jewish people in Germany at the time. Despite these changes, both versions of the story don’t suffer and, perhaps, are even improved by the revisions. However, the 1939 version does make one key change to the plot that greatly changes the ending of the story. Quasimodo’s death in the 1923 version is powerful but RKO opted for a happy ending to the story and allowed Quasimodo to live. Granted, the image of him atop Notre Dame commenting on how he wished he was made of stone is somewhat sad, the fact that he lived is a drastic departure from the original story. 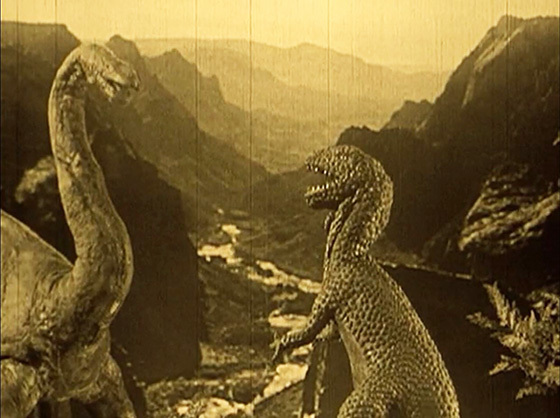 It doesn’t necessarily ruin the film but it did take away what I feel was a more impactful ending as seen in 1923. You can judge for yourself as the 1939 version is currently available on Blu-ray from Warner Brothers for less than $15. Ultimately, I feel the 1939 version is a watered-down adaptation when compared to the 1923 Chaney film. While the RKO production is more polished, it was almost too clean at times, a feeling I often have whenever I watch MGM’s 1938 adaptation of A Christmas Carol. Personally, a grittier presentation is much more appealing and, when considering the softer and more romantic ending seen in 1939, I ultimately feel the Lon Chaney adaptation is superior. Both are lavish productions but it comes down to personal preference. 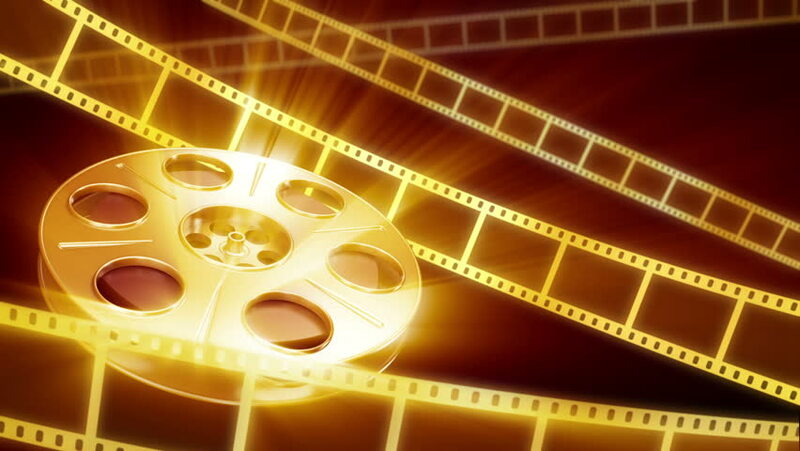 However, with personal opinions aside, each has something to offer that many modern films are lacking…heart and compassion. No matter how monstrous Quasimodo may appear, you cannot help but feel for him as the world around him spins out of control. There have been many other adaptations throughout the decades. From Anthony Quinn in 1956 to Anthony Hopkins in 1982, the tale of the gypsy girl Esmeralda and the hunchback Quasimodo remains timeless. With Disney announcing a live-action remake of their 1996 animated version, it appears as if Quasimodo will continue to ring the bells of Notre Dame for many years to come. Classic Horrors Club – The Cat, Canary and Ghost Breakers are Scared Stiff! Let’s kick off the new year with some laughter and a few scares as Jeff and I fire up episode 26 of the Classic Horrors Club Podcast. 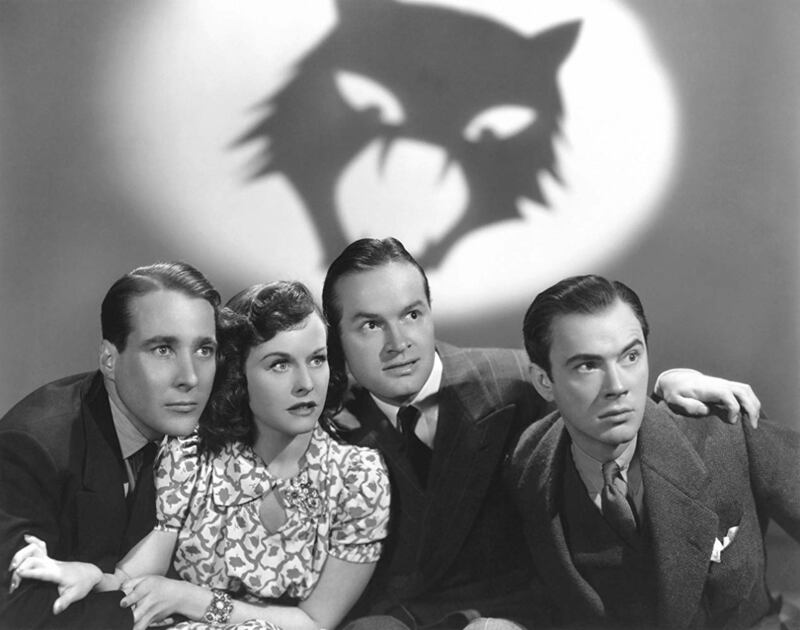 This month, we take a look at Bob Hope in The Cat and the Canary (1939) and The Ghost Breakers (1940) before wrapping it up with Dean Martin and Jerry Lewis in Scared Stiff (1953)! The Kansas City Crypt is open again as the new year begins and this month on episode 51 of the Mihmiverse Monthly Audiocast, the Monster Movie Kidtakes a look back at 2018. 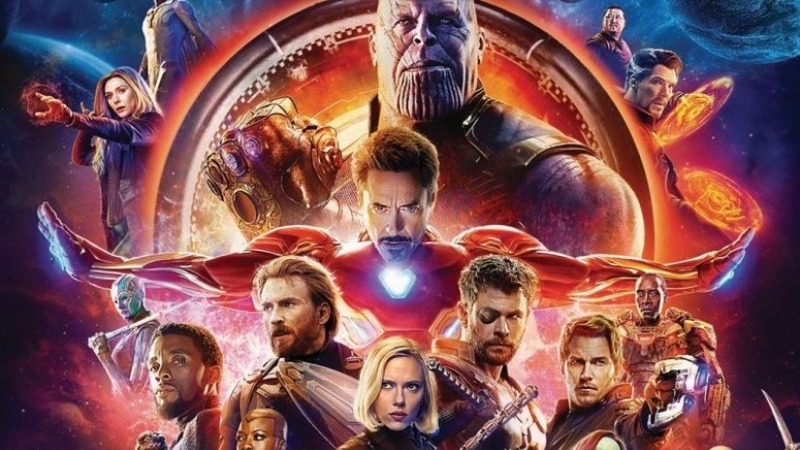 It was a great year for watching classic flicks on the big screen and it’s time to reflect on the best moments of the last twelve months. Be sure to check out the online home of the films of Christopher R. Mihm for all of the great merchandise and information on how you can help make future films happen! Queen of Snakes is coming in 2019 and That Which Lurks in the Dark has just been announced. Check out the website to learn how you can contribute to the making of both upcoming chapters in the Mihmiverse. As always, tell ’em Monster Movie Kid sent you! 2018 is in the books and what a year it was. It was a great year full of opportunities to watch older films on the big screen at events like the Kansas Silent Film Festival, Silents in the Cathedral and Cinema a Go-Go. Unfortunately, I missed out on Monster Bash and the annual ​Christopher R. Mihm film premiere but plans are afoot to correct that in 2019. Jeff Owens and I continue to improve each and every month on the Classic Horrors Club Podcast. I also continue to contribute to the Mihmiverse Monthly Audiocast with the Kansas City Crypt segment along with my reviews on the Dread Media Podcast. I also made a return to the B Movie Cast and found time to leave some voicemails over at Monster Kid Radio. All of these bring me great joy! Now, let’s take a look at those 2018 statistics. How many films did I watch in 2018? Now, it’s time for the official best-of-the-best and worst-of-the-worst. As with any list, they’re subjective to my viewing experience and mood at the time. Enjoy them and maybe you can get a few suggestions along the way. Looking ahead to 2019, I’m excited about Glass, all three main movies coming from Marvel (Avengers: End Game, Spider-Man: Far From Home and Captain Marvel), as well as Stan and Ollie. Of course, there’s also Godzilla: King of the Monsters, Toy Story 4, It: Chapter Two and Star Wars: Episode IX, just to name a few. I also plan to revisit the Marx Brothers films this year along with Laurel and Hardy, as well some 007, Zatoichi and there’s always my Hitchock journey, which continues to haunt me. Happy New Year’s everyone! Thank you for your support! Here’s to what awaits us at the cinema in 2019!